Springtime is a time of renewal. The earth awakens from its winter slumber along with the bears. Many animals that have spent the winter hibernating are active looking for food. In early spring, wolves, coyotes, and bear scavenge the park in search of deer or elk carcasses that didn't make it through the winter. As the snow melts, the animals give birth to their offspring, usually around early to mid May. This is always a fun time to see the bison and elk calves stumbling around exploring their surrounding for the first time. The park roads begin to open around the beginning of March as the snow permits. From this time until about Memorial Day the crowds are pretty quiet. It's a great time to experience the park without the large amounts of people that flock to Yellowstone during the summer. However, be advised that not all roads, lodges, or facilities are open. As the weather warms up and more of the snow melts, the park is able to open more, but the earlier in the spring you visit, you may experience more closures. The summertime is prime season in Yellowstone. Everything is in full swing including many of the park ranger programs and seminars. The weather is usually warm, animals are active, and the scenery is beautiful. Early summer is great to experience the green meadows, full rivers teeming with fish, and the fire restrictions are usually minimal. Spend some time cooling off in Yellowstone Lake or go for a long hike. 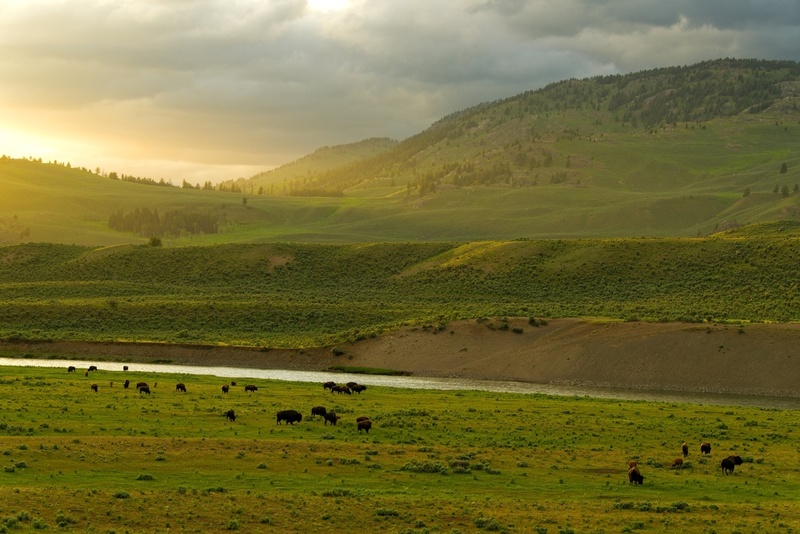 The sun rises earlier and sets later, so you will have plenty of daylight to experience everything in Yellowstone. Later in the summer, as the forests begin to dry out, you may encounter more camp fire restrictions due to the increased fire danger. Fire season in the west is a real thing and is not taken lightly. Each year we experience forest fires around the park, most usually start from natural causes like lightning, but the park service will take all precautions to prevent avoidable fires. Fall is the lead in to winter as well as the breeding season. 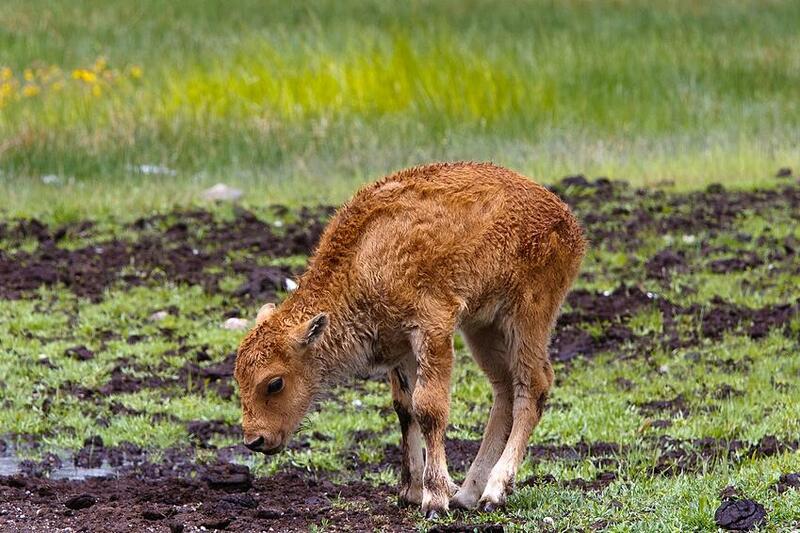 Bison usually enter the rut around mid August while elk and deer tend to be a little later in September. During the fall it is very common to see male bison or elk sparring to establish dominance within the herd. 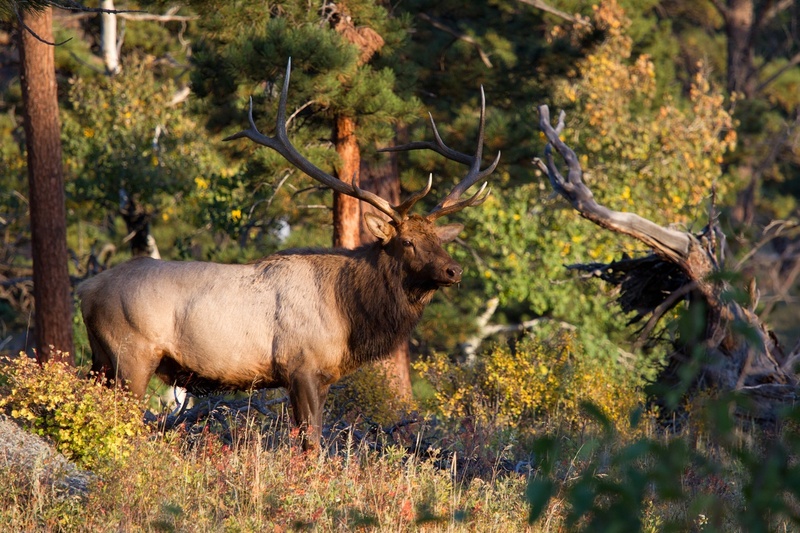 Hearing the elk bugle this time of year is a magical experience. Other animals, like the bears are busy fattening up for winter. Black Bears are known to consume between 15,000 and 20,000 calories per day to pack on the additional fat store to get them through the winter. Fall is a usually quiet time in the park with fewer visitors. 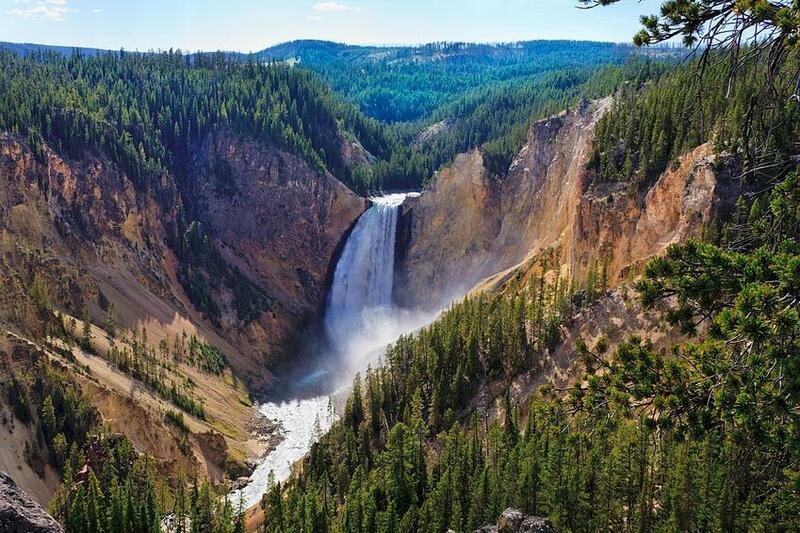 It's a great opportunity to experience some of the popular attractions like Old Faithful, The Grand Canyon of the Yellowstone, Norris Geyser Basin, and even Yellowstone Lake. If you visit late enough in the fall, you might even get to experience a little mountain snow before they close the roads for the winter. Winter is a time of solitude. All of the park entrances are closed except for the North Entrance in Gardiner, Montana and the Northeast Entrance in Cooke City, Montana. Travel on park roads is limited to snowcoach, guided snowmobile tours and cross country skis. With the limited access comes the unique personal experience. Without the crowds it may feel like you have the park to yourself. There are numerous cross country ski and snowshoe trails throughout the park. 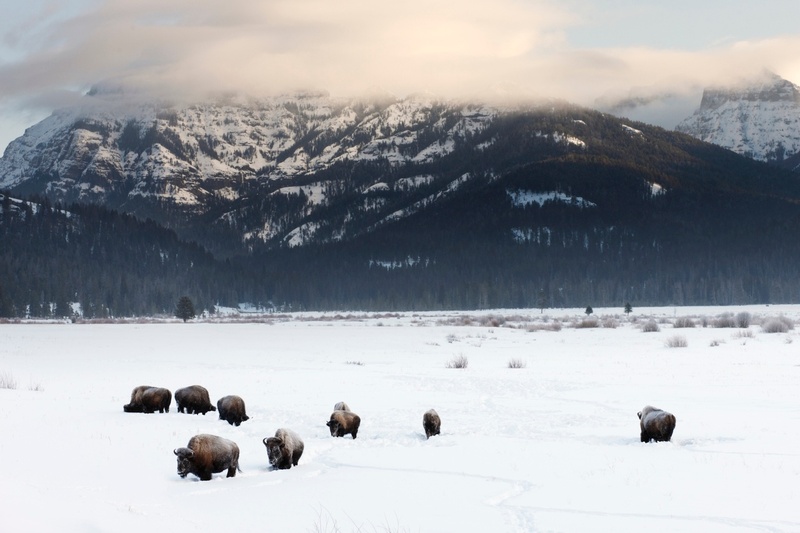 This is a great way to experience Yellowstone during the winter. Wolves become a little easier to spot as they tend to stick out against the snow-white backdrop. The Lamar Valley is accessible by car and is a great spot to wolf watch. Another popular attraction during the winter is the Boiling River located between the North Entrance and Mammoth Hot Springs. The Boiling River is created when the hot water from a natural hot spring flows into the Gardner River mixing with the ice cold water to create a comfortable temperature to soak in. Sitting in the Boiling River, surrounded by snow watching bison in the distance is quite the thrill. As you can see there is plenty to look forward to anytime of year in Yellowstone National Park. If you can make it happen, come back a few times and experience each of the seasons. It truly is a magical place and worth the trip. 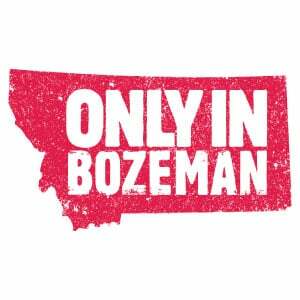 For info on getting to Yellowstone check out our blog on direct flights to Bozeman and be sure to subscribe to our blog to get more great tips to help you plan your visit.